What kind of barcode scanner should I buy? Are you reading 1D or 2D barcodes? How many barcodes do you expect to scan in a day? Does holding a scanner hinder efficiency? In what kind of environment (retail, industrial, warm, cold, etc.) will the scanner be used? 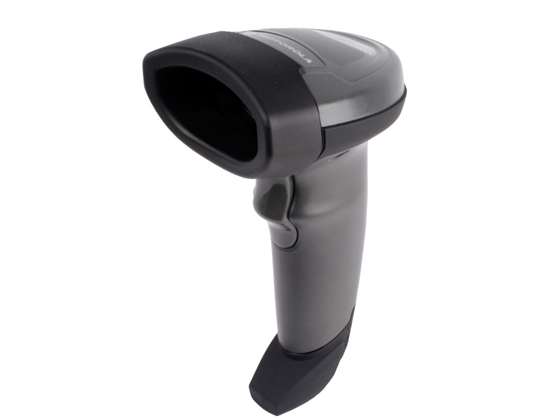 Handheld Scanner: These scanners are a staple of retail and inventory data capture. With a trigger grip and ergonomic design, handheld scanners are built to perform for a variety of uses. 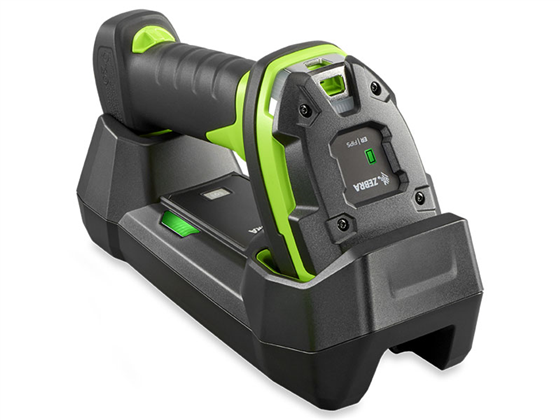 Handheld scanners have added features that are suited for specific verticals. Ideal for picking a single barcode from a list of codes as on a cell phone box. Scanning capabilities may include 2D, QR, Drivers License and others, ideal for mobile couponing. Cord-free scanning gives the freedom to scan items on the bottom of a cart or items on a shelf as seen in a warehouse. Industrial Scanners: These scanners are designed for extreme environments where durability such as extreme temperature, dampness or risk of impact could impair the performance of data capture. Many industrial scanners include different scan engines and are many are shock and contamination resistant. Ideal for picking a single barcode from a list of codes as seen on a shipping box. Medium to high volume scanning across multiple industries with high drop specs. Scan range from 4" up to 71'. Presentation Scanners: Best for high volume retail, presentation scanners or hands free scanners, automatically capture codes that pass through their scan field - no aiming necessary. Varieties range from desktop with optional trigger buttons to in counter scanners that are seen in busy grocery stores. Laser grid assists in picking the corect barcode from a multi code product. Ideal for mobile couponing and data capture off of screens and paper codes. 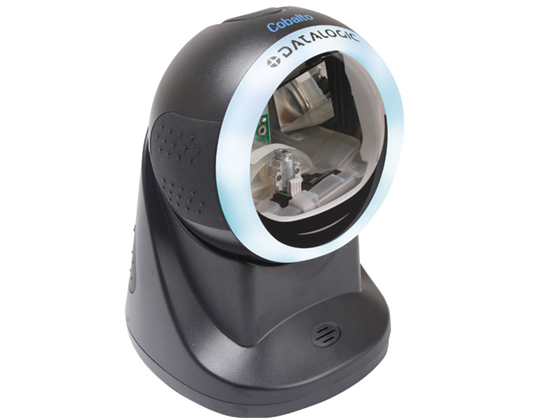 Scan engine is an omni directional laser scanner with the capability to rapidly capture codes. Mobile Scanner: These scanners are a staple of mobile retail, mobile inventory and ticketing data capture. 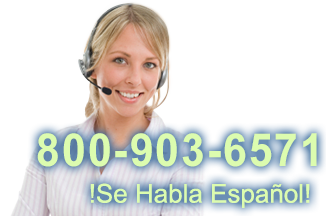 Most scanners are also referred to as pocket scanners or key chain scanners as they are very small. Some options have batch capabilities allowing the users to move beyond the host range, capture the data and then send it back to the host when in range. Ideal for low volume scanning and cannot scan codes off of a screen. Most can be used for high volume data capture processes such as inventory. 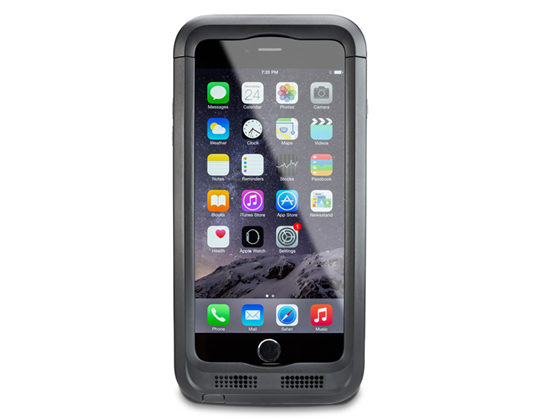 Many Sleds are shock and contamination resistant, allowing you to bring you expensive iOS device into rugged environments. Wireless Barcode Scanner: If you need added mobility when scanning, a wireless scanner may be right for you. 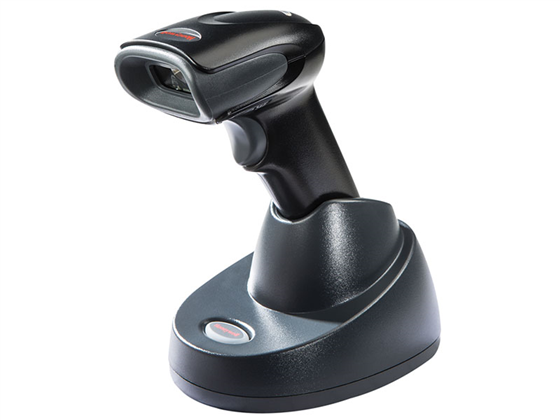 These barcode scanners use Bluetooth or RF radios to send data to a communications cradle connected to your computer, allowing you to travel up to three hundred feet from your computer to scan barcodes. Bluetooth models have the added bonus of compatibility with Bluetooth-compatible mobile computers, laptops, or smartphones, giving you greater mobility. Omni-Directional Barcode Scanner: Also known as presentation scanners, an omni-directional scanner sits on your counter and you have to present the barcode to it for scanning. 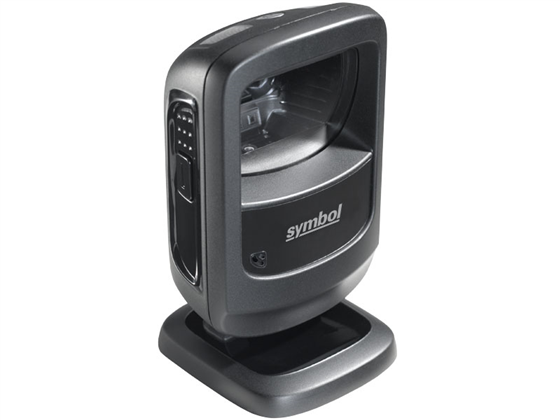 Available with 1D laser scanning or even 2D imaging, a good presentation scanner will speed up the checkout process dramatically. These are great for fast-paced retail, where customers may purchase more than a few items at a time. Wand Barcode Scanner: One of the original scanner designs, a wand barcode scanner looks a bit like a pen. Barcodes are scanned by dragging the tip of the wand across the barcode, usually relatively slowly. While these devices aren't as efficient as other handheld scanners, they still find use in libraries, office document management, or any place where few barcodes are scanned in a day. Scanner / Scale Combination: Commonly seen in grocery stores and hardware stores, combination scanner / scale devices give you a mix of fast omni-directional barcode scanning and weighing of products. These are a great space-saving solution if you sell products by barcode as well as weight. 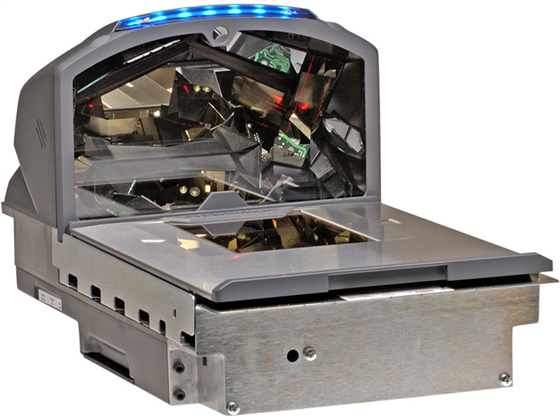 Although more expensive than other scanners, a scanner / scale combination provides tremendous durability and longevity, maximizing your return on investment. 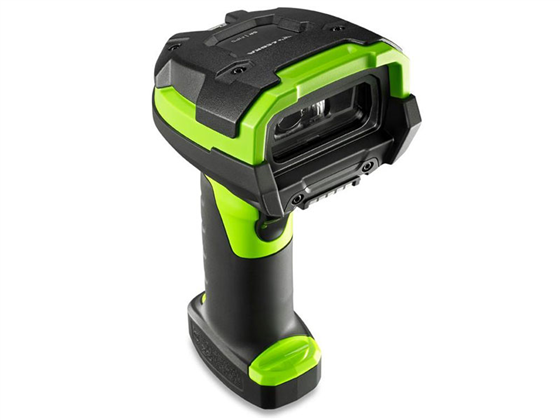 Handheld Scanner: Handheld 2D barcode imagers offer advanced barcode scanning in a similar form-factor to their 1D counterparts. 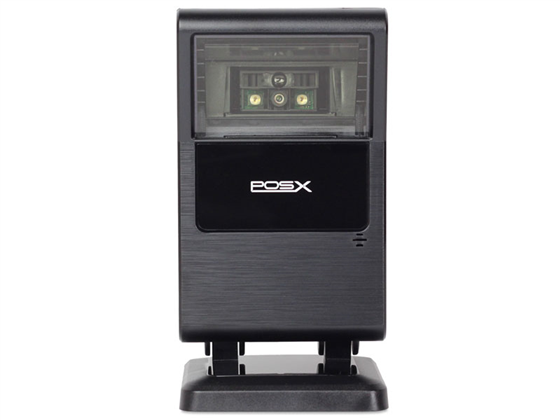 These fast scanners offer additional functionality including advanced data parsing, optical character recognition, and image capture. 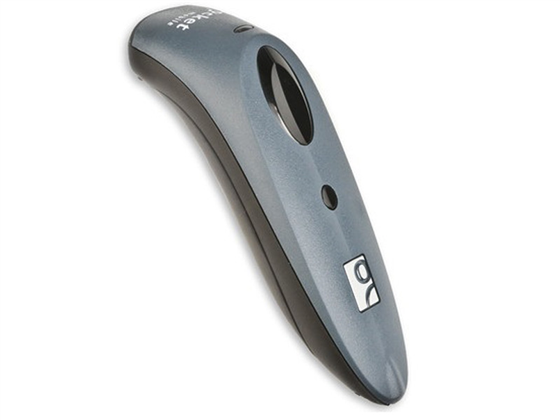 With the increase in 2D barcode scanner use, a handheld 2D scanner is a great addition at any retail business. 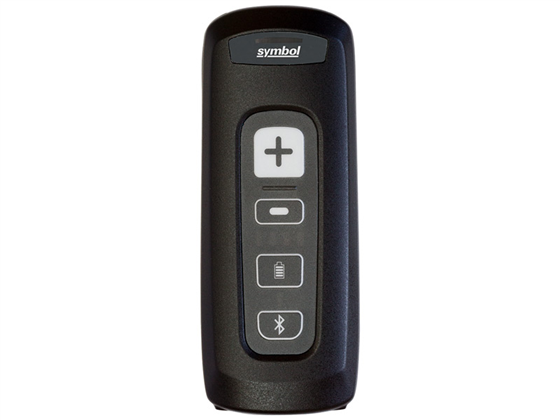 Wireless Barcode Scanner: With a wireless 2D imager, you get the functionality of a handheld barcode imager but with tremendous mobility, fantastic for shipping, inventory management, or any application where products are too large or out of reach to bring to a computer. Advanced data manipulation, including driver's license parsing, make these scanners terrific mobile data collection tools. Omni-Directional Barcode Scanner: 2D barcode imagers, by design, are omni-directional. However, 2D presentation scanners are tuned to scan barcodes quickly, ideal for high volume retail or even manufacturing use. Advanced imaging technology captures even fast moving barcodes, ensuring checkout processes are fast and hassle-free. 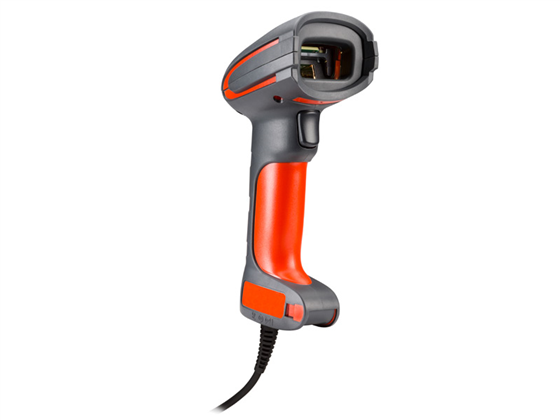 Industrial Barcode Scanner: Industrial 2D imagers are built to handle tremendous abuse and the environmental extremes you may experience in field services, cold storage inventory management, or heavy duty manufacturing environments. Usually sealed against dirt and water harming internal components, these barcode scanners are built for maximum up time and usability. Barcode scanners read encoded data (the barcode), decode it, and output the information, usually in text format, to the computer. The most popular method to send the data is via USB connection, acting as a secondary keyboard connected to your PC. 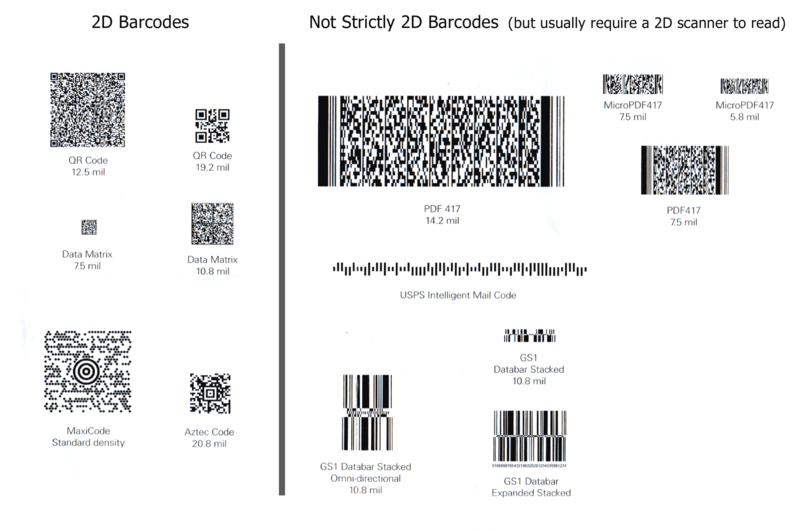 There are two main types of barcodes in use today: 1D barcodes and 2D barcodes. The first step in choosing the right scanner is knowing which type of barcodes you will need to read. 1D barcodes appear as a series of black lines with varying widths. The combination of black bar and white gap widths determine what data is in the barcode. 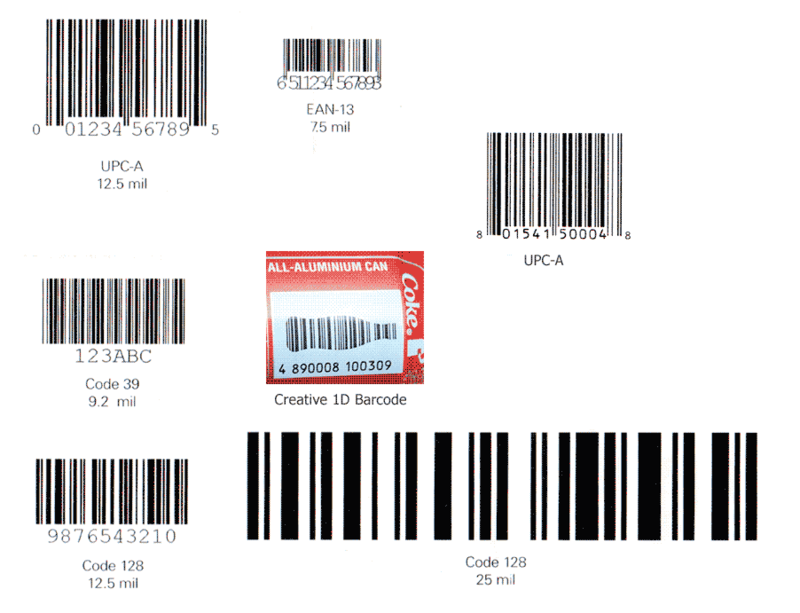 Most consumer goods have a UPC-format barcode on them, making it easier to quickly lookup data in retail settings. A good 1D scanner will read virtually any 1D barcode you encounter in a retail store. Rather than use one row of vertical bars, a 2D barcode uses multiple stacked rows of vertical bars creating what looks like a series of small squares to encode data. These barcodes can store significantly more data than their 1D counterpart, and so they are often used for shipping tracking info or manufacturing data. A popular 2D format, QR, is often used by advertisers to direct smartphone users to additional online content. With a 2D scanner, you can scan both 1D and 2D barcodes.